(Pretoria) 1978 - 1982. Photos. Framable Color Prints and Posters. Digital Sharp Images. Aviation Gifts. Slide Shows. 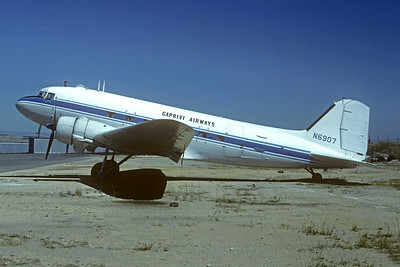 Caprivi Airways Douglas C-47A-DL (DC-3) N6907 (msn 9410) HLA (Christian Volpati Collection). Image: 946183. 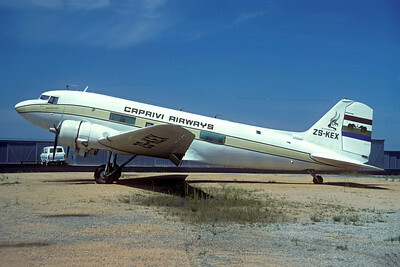 Caprivi Airways Douglas C-47A-DL (DC-3) N6907 (msn 9410) PRY (Christian Volpati Collection). Image: 946184. 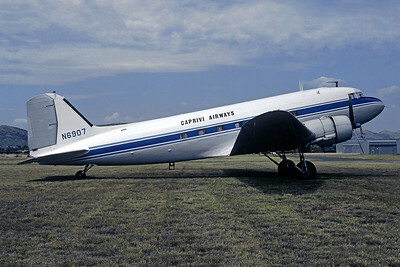 Caprivi Airways Douglas DC-3A-197B ZS-KEX (msn 2008) HLA (Christian Volpati Collection). Image: 946185.